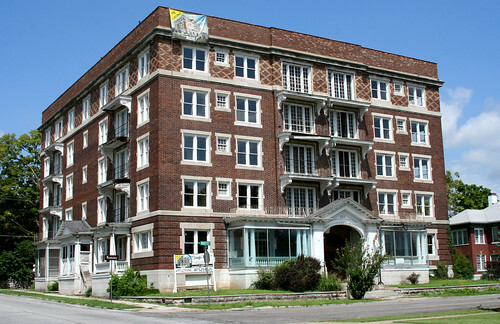 One of the more luxurious apartment buildings in Joplin’s early history were the Olivia Apartments. 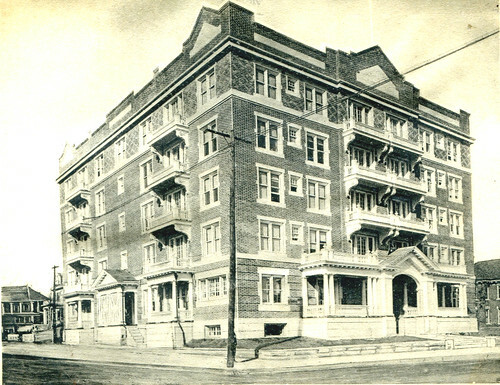 The building was built in 1906 by Dieter and Wenzel construction firm on plans designed by one of Joplin’s widely used architects, Austin Allen. The man footing the $150,000 bill was Anton E. Bendelari, who had made his fortune in mining. The building was named for his daughter, Olivia. We’ll offer a more detailed history of the Olivia in the future, but for now here’s a look at the building’s past and its present (August 2010). As you may notice, while a survivor of over a 100 years, the Olivia has lost some of her exterior features. 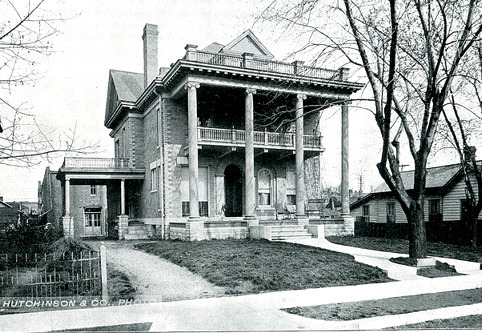 The Olivia sometime after 1906. 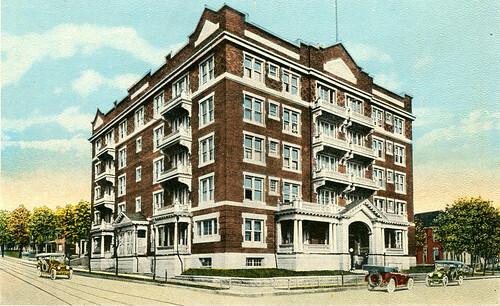 The Olivia sometime in the late teens or early 1920s. The Olivia as of August, 2010, during its restoration. 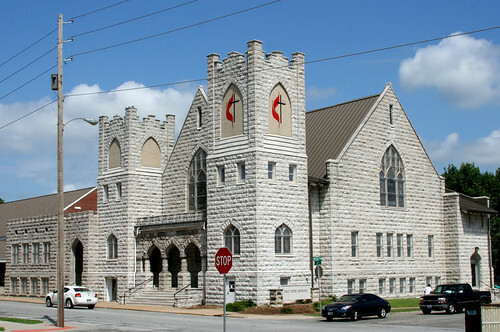 Home to one of Joplin’s oldest congregations, the First Methodist Church was built in 1905. 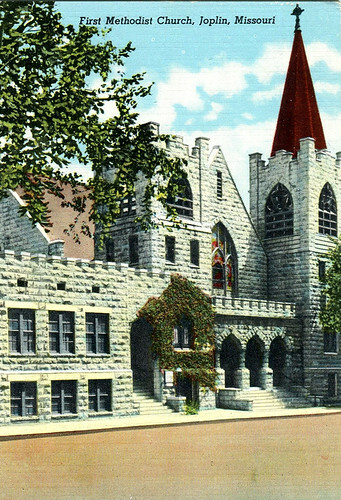 Two years later, the church was host to one of Missouri’s greatest musicians, John William Boone, otherwise, and more popularly, known as “Blind Boone.” Below are three images of the church which approximately span the building’s 106 year history. 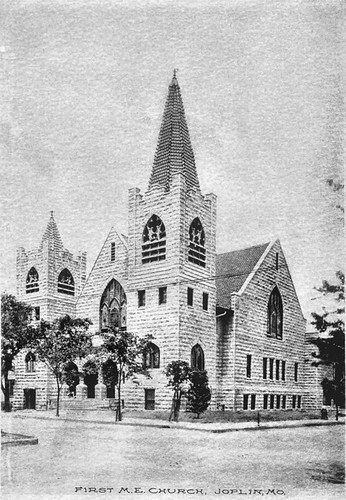 This image dates from at least 1906, which would place it within a year or so of the church's construction. This image was taken sometime after it was built in 1905 and before the church lost its spire. 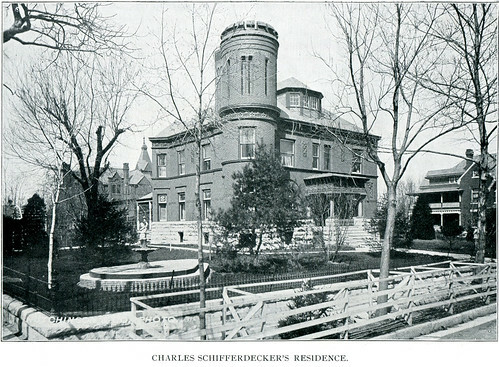 As winter begins to bear down upon us, we turn to a summer photograph of the Schifferdecker House to see how one of Joplin’s premier homes has changed or not over the last 120 years. 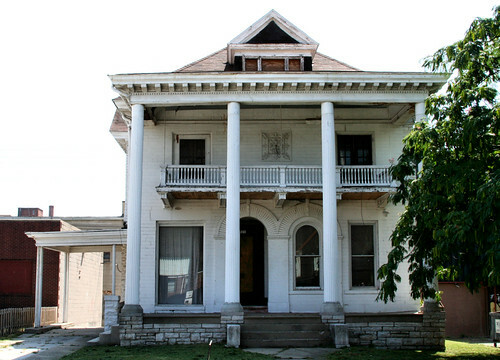 According to Leslie Simpson’s, Now and Then and Again: Joplin Historic Architecture, Charles Schifferdecker imported German craftsmen to work on the house which was built in 1890. In this example, we have the home of August Michaelis. 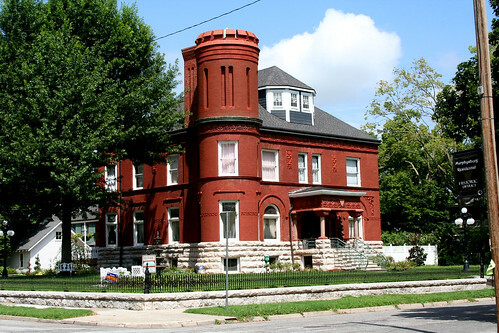 Michaelis, who deserves and will get his own post, is responsible for many of Joplin’s beautiful buildings, such as the Carnegie Public Library and Memorial Hall. He also designed the Miners’ Bank Building (which is no longer with us). For coverage of the library, see here and here. For coverage of Miners’ Bank, see here. Needless to say, there are only a few other architects who can claim to have left such a stamp on the legacy of Joplin’s architecture. The home of an architect, it obviously was designed with care and consideration. At the moment, it is in the process of wasting away and currently for sale, and thus at risk of being bought and bull dozed. Below are two photographs that show the past of a home more than a century old and its present state. August Michaelis' home about 1902. Note the lack of the business development that eventually would surround it. And now the present state of the Michaelis home. August Michaelis' home today and in need of preservation. 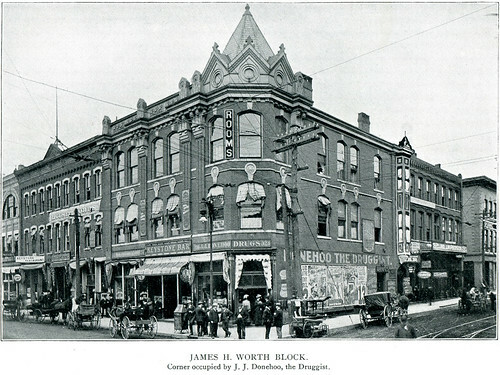 Named for the flamboyant James H. “Jimmy” Worth, the Worth Block was originally the property of the widow, Gertrude Bertz. Ms. Bertz’s ownership extended back to the earlier days of Joplin. We’ll go more into the fascinating background of how Jimmy and Gertrude at a later date. For now, we’ll leave you with this depressing example of the effect of Joplin’s urban renewal. The economic heart of Joplin’s downtown, 4th and Main, which hosted the Connor Hotel, the Keystone, and the Worth Block, will never be the same again. One more reason why it’s so important to preserve what still remains from Joplin’s glorious past for its future. And now the present appearance of the northeast corner at 4th and Main. Little remains that offers evidence of the once busy intersection. 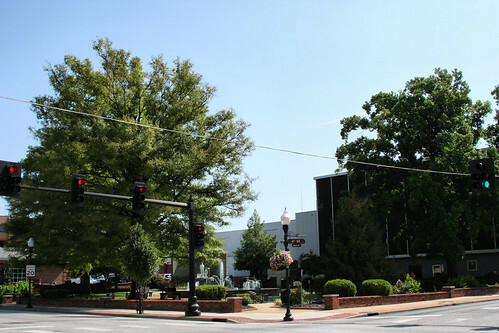 On the right side of the above photograph is the home of the Joplin Globe, which has been at this location since it took over the city’s original YMCA building (the YMCA moved to its present downtown building at that point). The original building should still be under the modern facade and perhaps someday, it will see the light of day again.